Skylar Holgate was born and raised in Durango, Colorado. For the last 15 years, he has been living in a perpetual state of winter, moving between Silverton, Colorado, various parts of Alaska, Malalcahuello, Chile, and San Carlos Bariloche, Argentina. He works as a guide and snow safety specialist in Alaska and Colorado, and is the lead guide and operator at the backcountry retreat Bonnie Belle Cabin. Down in the Southern Hemisphere Skylar is the head guide at both South America Snow Sessions (SASS) and Sled Chile. It’s no wonder that Skylar spends between 250 and 270 days on the snow every year. 23 years, the last 16 have been year-round on snow. American Avalanche Association Level 2, A.I.A.R.E. Professional Level 2, WFR, OEC, and I have a degree in outdoor education. My co-workers! Being around such a solid crew of people that have dedicated their lives to this trade is truly amazing. Working with guides that do this year round and don't weekend warrior guide a few months a year, makes everything from our training, to being out in the field, a learning experience. Looking forward to another year exploring the mountains in SW Colorado, Alaska, and the Southern Andes. Each year getting to the top of another ridge to see what is on the other side. I’m also really pumped on the new Pro bindings and in-house hardware to set up my 18/19 board! Going to be a season for the books. Keep it simple. Since the beginning, Spark R&D has been on the forefront of splitboard binding technology. 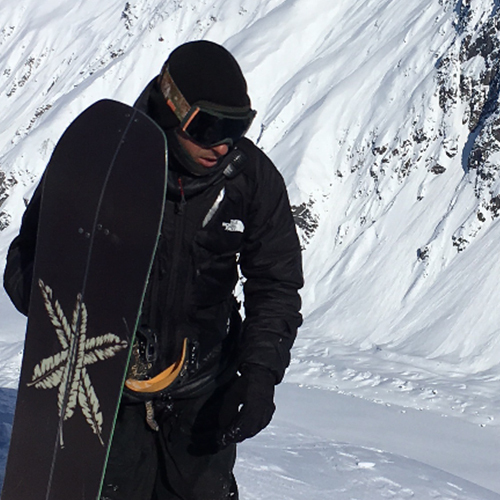 When you are deep in the backcountry having a binding that is reliable, has minimal parts, doesn't freeze or break, and performs like a traditional snowboard binding is invaluable. Your gear can make or break a mission!